Frozen yogurt shops have popped up all over town in the last five years and the majority have not withstood the test of time. We love sweet, self-serve froyo as much as the next guy, but if you’ve seen one you’ve nearly seen them all. Or so we thought. We met the owner of Menchie’s Frozen Yogurt recently and after one conversation we were pretty inspired by what one simple frozen yogurt shop can do in a community. The first thing to know about Menchie’s is the product. It’s really good froyo! The cookies and cream really tastes like cookies and cream. The pineapple frozen yogurt can be used to make a Dole Whip right in the store. Menchie’s is a franchise and all of the frozen yogurt is sourced from a single dairy farm in California where the cows are free from artificial growth hormones. There are a dozen flavors in the store at any given time, with two flavors rotating monthly. Menchie’s has more toppings than any other frozen yogurt spot in town, from fresh sliced bananas and granola to chocolate rocks, gummy sharks, and fruity pebbles, and everything in between. They even have more syrup toppings including choices such as kiwi lime, nutella, marshmallow, and chocolate shell. There are an infinite number of frozen yogurt and topping combinations to be made at Menchie’s. Aside from the great product, Menchie’s is a fun place to take your kids. There is a chalkboard for kids to draw on and a craft table always stocked with fresh coloring pages and crayons. It’s refreshing not to have to tell your kids to sit down over and over. Kids are programmed to be in motion and that’s not a problem at Menchie’s. In addition to the store, Menchie’s provides a mobile froyo service. 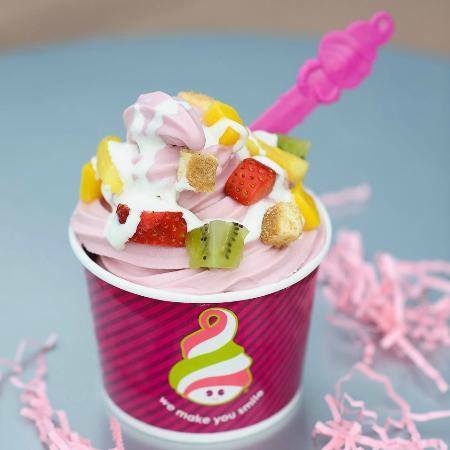 Customers choose a few flavors and toppings and the folks at Menchie’s prepare the toppings and pack the yogurt in cups and deep freeze it. The yogurt and toppings can either be delivered or picked up. 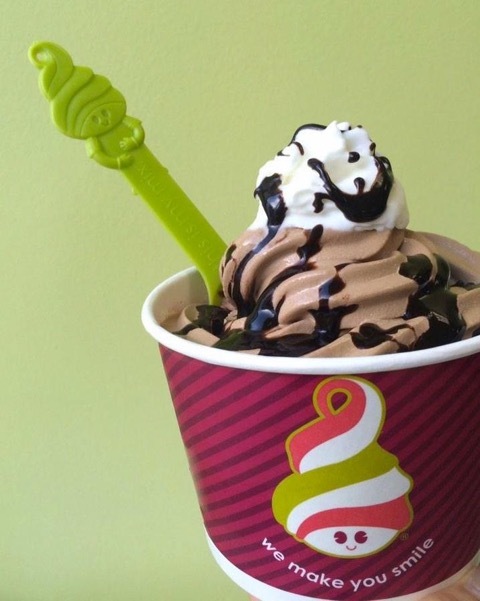 Menchie’s prepares mobile frozen yogurt for a few to several hundred people. They have done teacher appreciation events, provided froyo concessions at youth sports, and even weddings. We are intrigued by this option for froyo on the go. If you are serving or selling Menchie’s at your event let us know. The third part of what Menchie’s offers is frozen yogurt cakes. 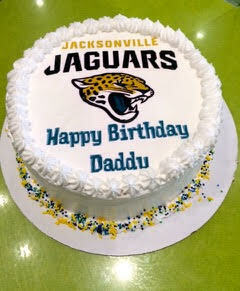 The cakes are made in the store with chocolate or vanilla cake, layered with toppings, and any flavor of frozen yogurt they have. The combinations are endless. Menchie’s is able to print licensed logos and characters so the sky really is the limit from sports teams to kiddie characters. 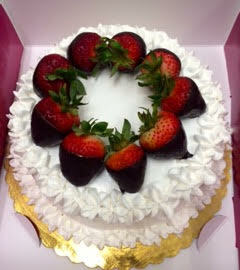 Menchie’s frozen yogurt cakes seem like a great idea for Mother’s Day, Father’s Day, or summer birthdays. We were impressed with the ways that Menchie’s works with and gives back to the community. They do the standard spirit night with various organizations, but give 20% of proceeds instead of the typical 10%. They offer mobile yogurt as a fundraiser, which is how it has ended up in a couple local youth sports concession stands. They even work with some students at a local high school where Menchie’s is sold during lunch to raise money for causes the students are passionate about. 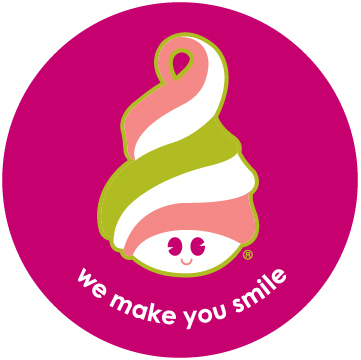 Menchie’s is out in the community making fundraisers easy and successful, giving organizations opportunities to make the most out of their efforts. This is the kind of thing that makes people loyal to a certain frozen yogurt shop. It’s not just the product, even if the product is delicious. It’s not just the environment, even if it’s an easy place to take your kids. It’s caring about your community and using what you have to help make it better. Thanks, Menchie’s! Tagged Dessert, froyo, Frozen Yogurt, good for families, kid friendly. Bookmark the permalink. Love Menchie’s Frozen Yogurt at Beach & Hodges!